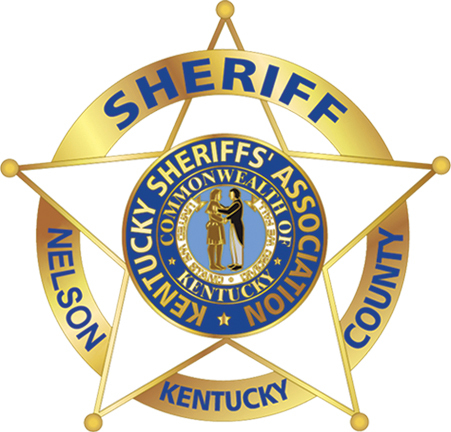 It is the responsibility of the Nelson County Sheriff’s office to collect property taxes for the State, the County, School Districts and sometimes, cities (if the Sheriff has contracted with each of these entities for this service). In addition, almost every Sheriff’s office collects taxes for some other special taxing district or special function such as fire protection districts, libraries, etc. Please be aware that in no way does the Sheriff’s office ever assess any value on property in the county. If you feel your tax bill is incorrect, you should contact the Nelson County Property Valuation Administration at (502) 348-1810. This authority is responsible for all property valuation and tax assessment in Nelson County. The tax bill you receive from the Sheriff’s office is the amount assessed by the Nelson County Property Valuation Administration. They determine the amount owed on all real estate within Nelson County. Tax bills are mailed out on October 1st each year. VISA Credit, MC Credit/debit & Discover $60 or less $1.50, 2.49%% for $60.01 or greater. *If you pay your bill by November 1 you will get a 2% discount. *If you pay between November 2 and December 31 you will pay the face amount. *If you pay between January 1 and January 31 there is a 5% penalty. *If you pay between February 1 and April 15 there is a 21% penalty. *Please send your tax bill to your mortgage company if you have an escrow.